Song taken from 'Through the first Sphere of Saturnus' LP. Deluxe re-release of the already sold-out tape, now on 12" LP. Features includes: Heavy black vinyl, A2 poster and insert with Lyrics. Music is remixed & mastered. Limited 250 copies. SOON available through Lamech Records. 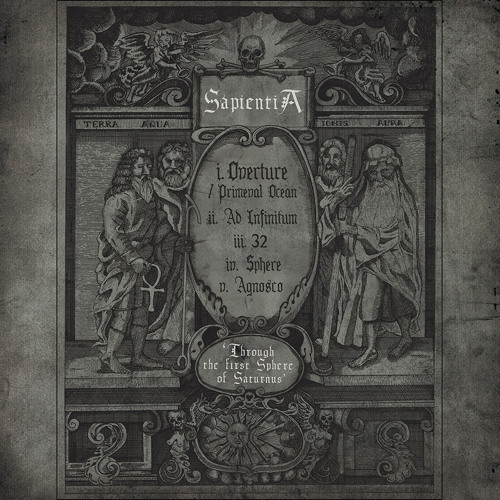 Ienpww - guitars, vocals & organs 969 - bass & vocals Magus Pervertvm - drums Sapientia was formed in the darkness that surrounds the Light in the year MMXII by adepts 969 and Ienpww to explore their way into the Light. After they stepped down from the Cross and accepted the Fruits, His Light shined upon them, and thus they got a glimpse of the True Wisdom, therefore dedicated their musical art to the Sacred Sophia of the Light Bringer.